UCLA Health 50 Plus is a specially designed free membership program that helps people age 50 or older maintain a healthy and independent lifestyle through a host of special amenities. Anyone who is at least 50 years old can join. Membership is absolutely FREE. It's easy, you can register online or call us at (800) 516-5323. Join us today and start enjoying the privileges of UCLA Healthcare 50 Plus Members! Free health lectures and seminars featuring UCLA Health physicians and other UCLA health professionals. 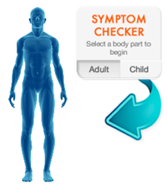 Learn about the latest treatments and research from UCLA physicians to help you stay healthy! For detailed schedule see Calendar of Events. While you move at your own pace, you’ll have the opportunity to chat with local UCLA Health physicians and other people from the community. You don’t need any special gear and there are no special rules. Just put on a pair of comfortable shoes and bring any family or friends. What better way to start your weekend than on your feet making strides to better health! Visit Walk With a Doc for upcoming event dates. 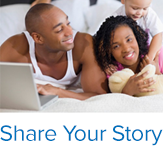 For UCLA health videos, webinars, and podcasts visit Multimedia. 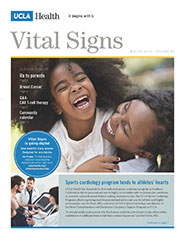 Receive Vital Signs publications featuring UCLA Health community schedule. Vital Signs publication. 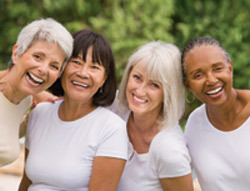 Access All about Aging and additional health information by visiting UCLA Publications. Get information on Medicare, Medigaps, HMOs and free insurance counseling. Call 1(800) 516-5323 for a free consultation.